The polytunnels are 4.5m high and 8.5m wide standard Spanish Tunnel design comprising galvanised tubular metal hoop structures, with Y shaped legs, screwed into ground by machine, with a clear polythene cover used as a greenhouse that is removed outside the growing season, between autumn and spring. 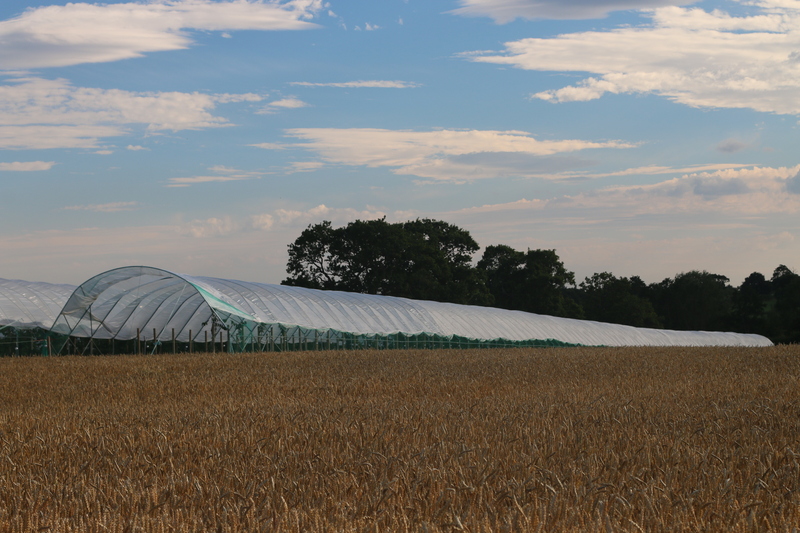 Benefits of using polytunnels – include protection from rain damage which significantly reduces the loss of the fruit through rot and fungus attack. Polytunnels enable growing which doubles the picking speeds and extends the season from May to November instead of the traditional June-July period.